The Ultegra 10-speed cassette offers a wide variation of gear combinations. A better shifting performance is achieved thanks to more robust shifting tolerances. Reworked and updated gear shape improves accurate chain running and increases shifting performance. 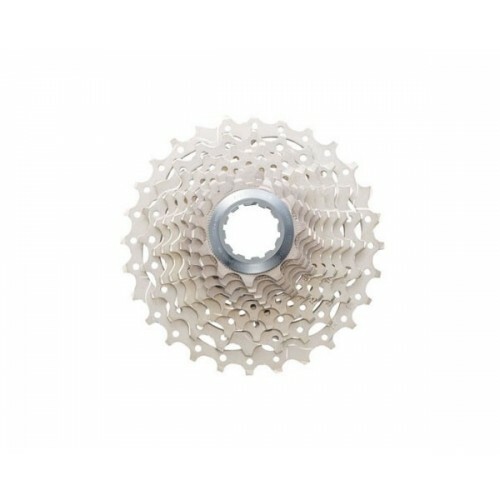 Aluminium spider for the three biggest gears reduces weight and improves stiffness. Note: The sprocket ratio 11-28 is compatible with the short rear derailleurs Shimano RD-6700/RD-7900 and with medium rear derailleurs only! 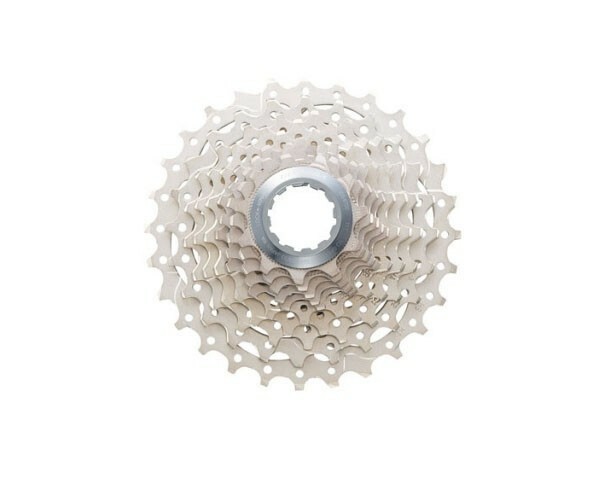 The sprocket ratio 12-30 is compatible with the short/medium rear derailleurs of Shimano 4600, 4601, 5701 as well as Shimano Ultegra RD-6700ASS, RD-6700AGS, RD-6700ASSG und RD-6700AGSG.